manila fashion observer: SM Megamall 3 Day Sale this Weekend! SM Megamall 3 Day Sale this Weekend! It's SM Megamall's 3-Day sale this coming weekend, from October 14 - 16 and this time, it really pays to be a member! To make it convenient for SM Advantage, SM Prestige and BDO Rewards Card holders to enjoy the sale, members get Reserved Parking Spaces during SM Megamall's 3-Day Sale! 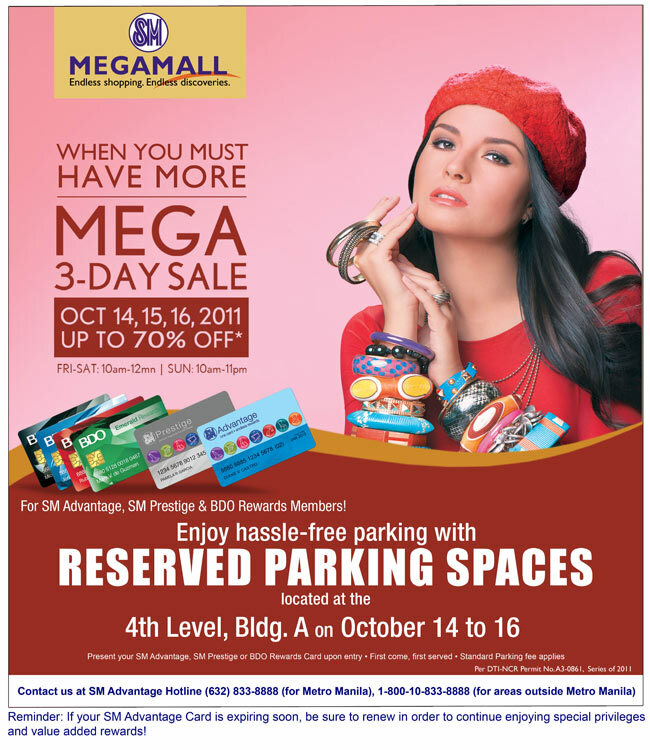 Reserved Parking spaces are located at the 4th level of Megamall Building A!